Valldemossa in Valldemossa is a small-scale hotel with 12 Rooms. 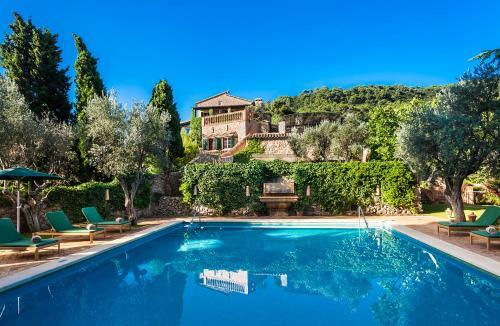 Hotel Valldemossa is made up of 2 restored 19th-century stone houses in western Mallorca. It offers a spa, indoor and outdoor pools and attractive rooms with a private balcony. Rooms at the Valldemossa have traditional earthenware tiles and wooden beams. They are equipped with free Wi-Fi and a plasma TV with satellite channels and DVD player. 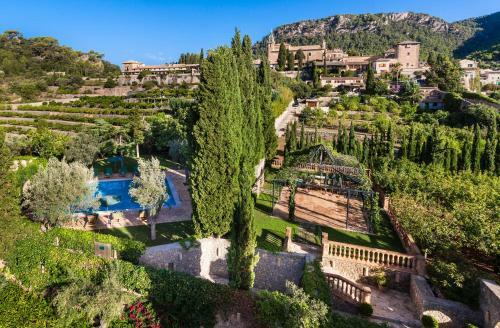 The Valldemossa Hotel’s spa has a hot tub and a sauna, and massage services are also available. There is a car rental service and you can also use the prop...erty’s bicycles for free. 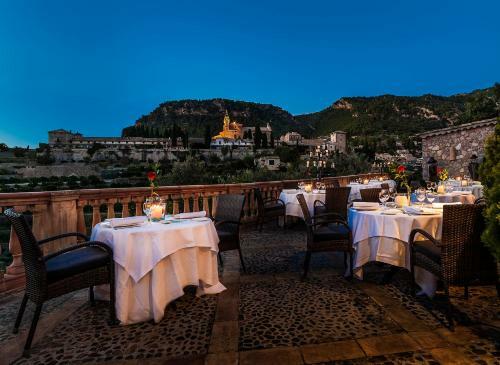 The Valldemossa’s gourmet restaurant has a terrace with fantastic views of the Tramuntana Mountains and the town's Carthusian Monastery. There is also a poolside bar where you can get a snack or a drink. Valldemossa’s monastery is 10 minutes’ walk from the hotel. Palma de Mallorca is 15 km away, and Palma Airport can be reached in half an hour, by car. 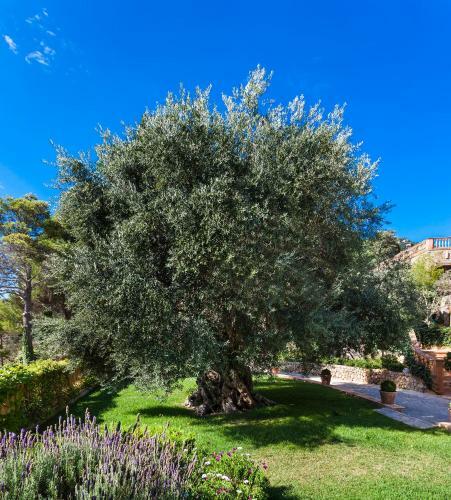 Hotel Valldemossa is made up of 2 restored 19th-century stone houses in western Mallorca. It offers a spa, indoor and outdoor pools and attractive roo...ms with a private balcony. 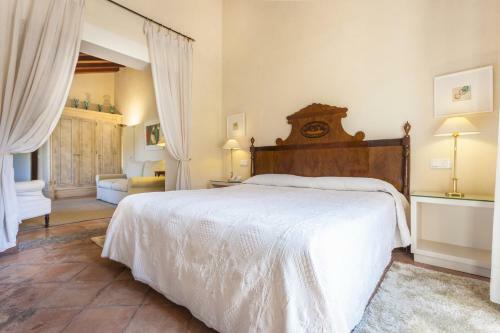 Rooms at the Valldemossa have traditional earthenware tiles and wooden beams. They are equipped with free Wi-Fi and a plasma TV with satellite channels and DVD player. 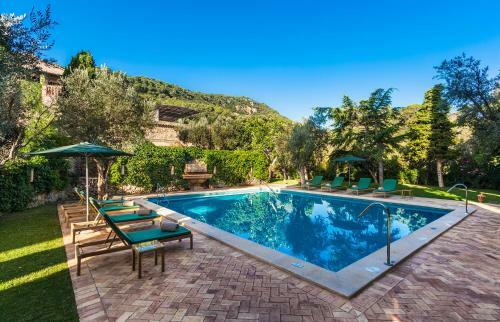 The Valldemossa Hotel’s spa has a hot tub and a sauna, and massage services are also available. There is a car rental service and you can also use the property’s bicycles for free. 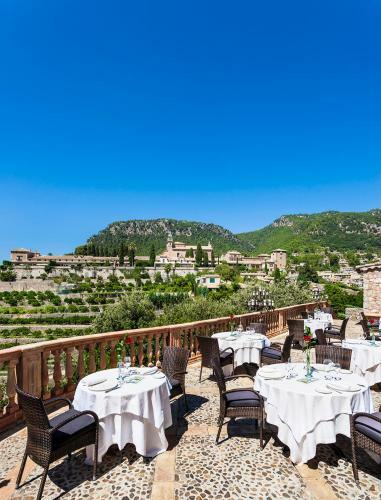 The Valldemossa’s gourmet restaurant has a terrace with fantastic views of the Tramuntana Mountains and the town's Carthusian Monastery. There is also a poolside bar where you can get a snack or a drink. Valldemossa’s monastery is 10 minutes’ walk from the hotel. Palma de Mallorca is 15 km away, and Palma Airport can be reached in half an hour, by car. 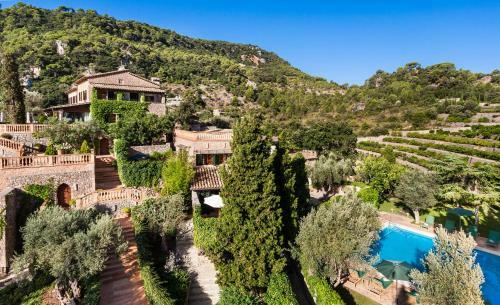 When would you like to stay at Hotel Valldemossa? Children and extra beds One child under 2 years stays free of charge in a child's cot/crib. One older child or adult is charged EUR 184 per person per night in an extra bed. The maximum number of children's cots/cribs in a room is 1. The maximum number of extra beds/children's cots permitted in a room is 1. Supplements are not calculated automatically in the total costs and will have to be paid for separately when checking out. Any type of extra bed or child's cot/crib is upon request and needs to be confirmed by the innkeeper.